We’ll send an email notifying you of any payment issues with your card. It may not necessarily be the case that there’s a specific issue with your card, so much as that you’ll need to ask your bank why this charge in particular is being declined. 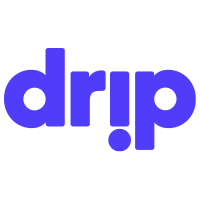 Once you’ve contacted your bank, feel free to go back to the Drip page and retry your payment method. If you’re still having trouble, message us for assistance. If there are any issues with your payment after our initial charge, we’ll attempt collection twice more. The second attempt will take place 3 days after the initial decline. If your payment cannot be collected after 4 days, your subscription will be cancelled.